First, we here are Saturday Morning Arcade would like to wish you a happy new year! We hope that the past 12 months was full of memorable experiences, and the next 12 are filled with even more. 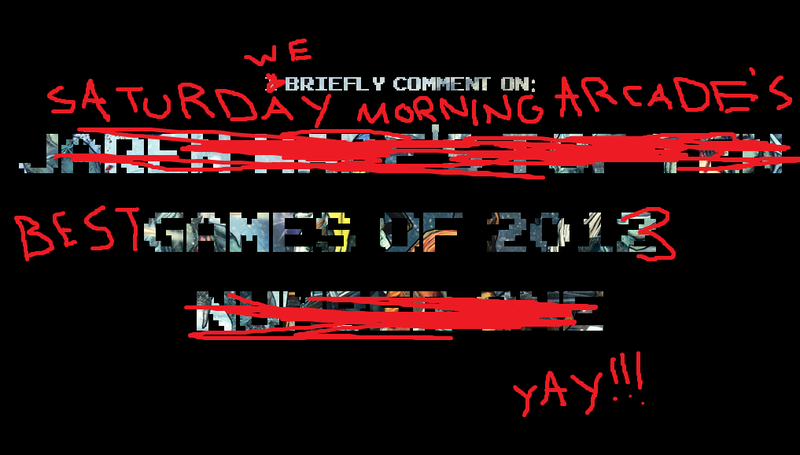 With that being said, it’s time to celebrate this occasion with some more reflection, as Saturday Morning Arcade continues on with its Annual Game of the Year Special! For our second part, we deliberated on the Surprisingly Good Game of the Year, The Best Title, The 3 Deep 5 Me, and The Game of the Rear Awards! Afterwards, Matt and Myself share our personal top 10 games of the year. Remember to come back every day this week for a new episode where we declare new winners and humbly name our favourite titles of the year.